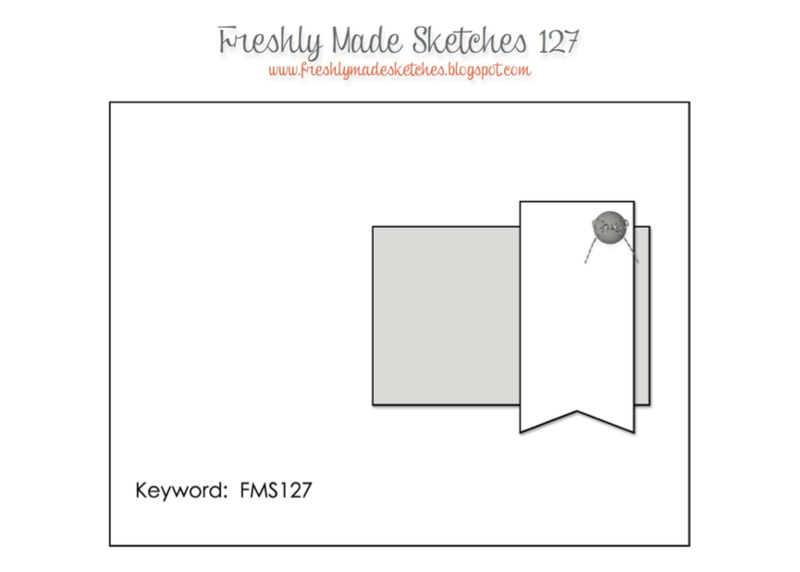 I saw Jennifer Timko’s really cool sketch at Freshly Made Sketches this week and instantly thought – man card time. I figured I was due to make another one and give you a break from my floral creations. This card took me forever to make because I so focused on using an off-cut piece of blue designer series paper from a retired Stampin’ Up pack called Comfort Cafe DSP. I had a nautical themed card in mind that I thought would work because of the rippled pattern on it that reminded me of water. After an hour of playing around with shells and boats, I decided to give up that idea and go with a guitar themed card instead. I added some chevrons from my new chevron border punch to pair with the chevron DSP I used in the background. 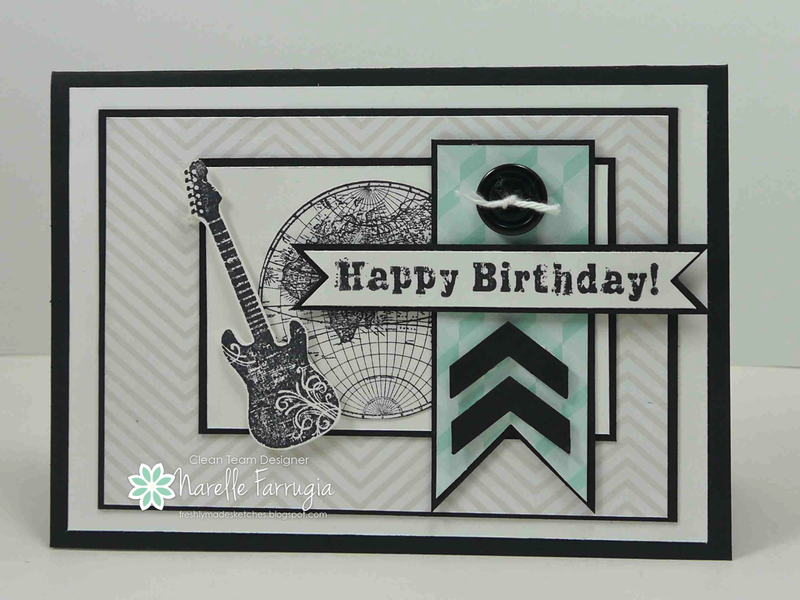 The guitar and sentiment are from a retired Stampin’ Up set called Grunge Rock. 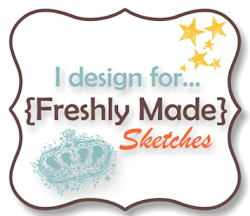 Pop over to Freshly Made Sketches and take a look at the gorgeous inspiration from the Design Team. I love everyone’s interpretation of the sketch. Love all of the chevrons! Wonderful card for a guy….cool guitar! Ohhhh Narelle I just love your rock and roll card! So modern and masculine! Fantastic job! *sigh* I love how you see these designs in the sketch. Another great blend of layers and details! Brilliant masculine card, Narelle! A beautiful, clean card! I love the black chevrons – perfect finishing touch! I love this card, Narelle! The neutral background with the pop of color and the details are outstanding! AWESOME masculine card! That’s one awesome card,Narelle!!! I love the chevron and the guitar!! Fabulous card Narelle! I love the world stamp and the guitar! Great combo! The little chevrons look amazing! Super fun! Perfect at every detail! That pop of color really is fantastic…as always you rocked the sketch!